A motivation letter is written for the purpose of showing interest in a job, scholarship or any other opportunity. A motivation letter for a job is an official letter stating your motivation or interest in applying for the job position. It can also be considered to be an alternative to a cover letter and is given along with a CV or resume. It can be considered an important document from the point of view of the applicant as well as the employer. It is important for the applicant since allows him to let the employer know about his academic and extra-curricular achievements, strengths and weaknesses, etc. It is also important for the employer since it helps them to understand the capabilities and strengths of the candidate and assess if they would be a perfect fit for the job role and the organization. Hence a motivation letter is very important in the corporate world and can help build your career. 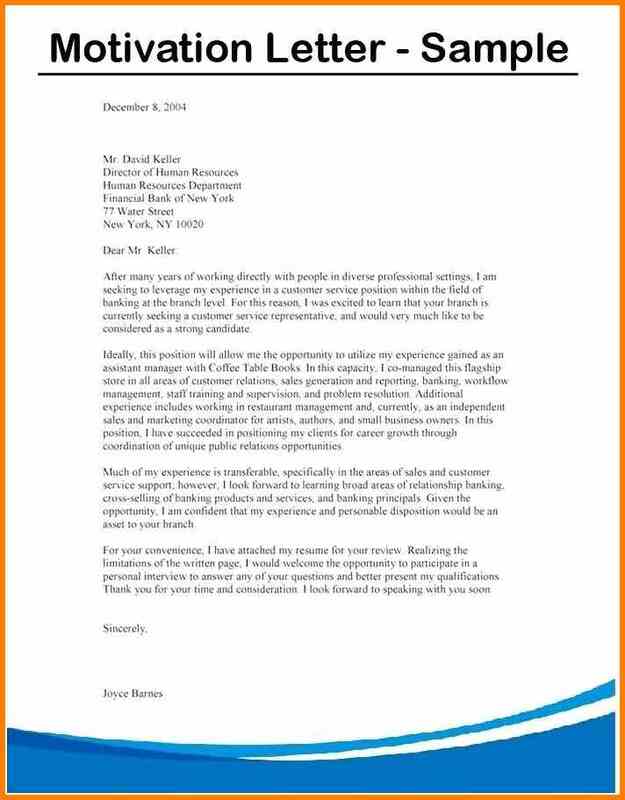 A weak cover letter can make you lose your chances of getting the job, even if you have a strong profile. Hence it is very important to write a well-worded motivation letter which clearly shows your passion and motivation to do the job. The purpose of writing a motivation letter is to let your employer know about yourself, your qualifications and your achievements so far. It is your first impression upon your employer so extra care should be given to the language and contents of the letter. 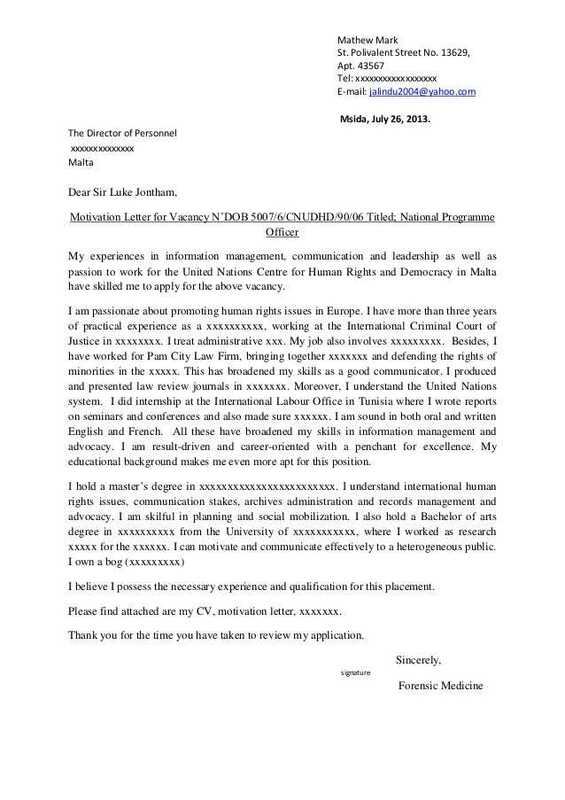 Here we have provided you with an example of a motivation letter to apply for a job in a professional format. So you use it as a reference and use it to write your own motivation letter. Keep the tone of letter formal and make sure the sentence formation and grammar is perfect. Make sure the introduction and ending are compelling and makes the employer believe why you are a perfect fit for the job role. Given below are some examples of motivation letter for a job in a printable format. 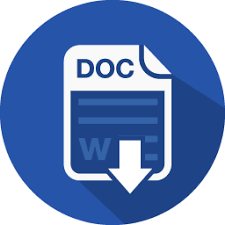 These are written in a professional format so you can download it and customize and edit it according to your requirements.